Getting picky eaters to consume their daily dose of veggies can be tricky, especially if the veggies are not common on a menu. Solving this challenge can be simple. 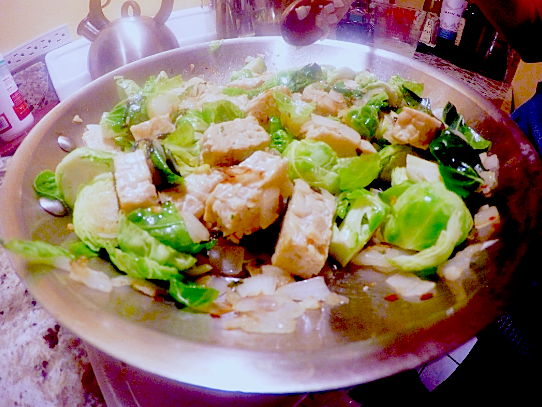 The trick is to combine the ingredients least likely on their mind with something they like. 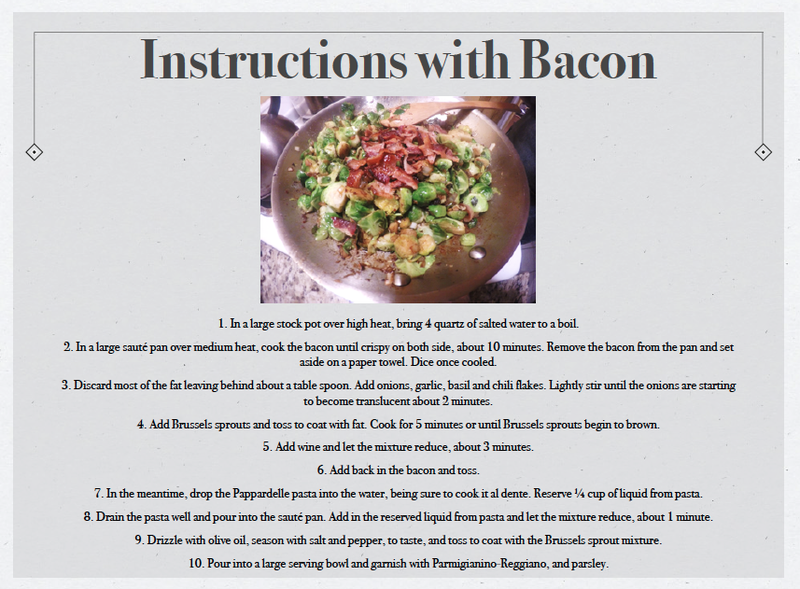 In this case, we paired brussels sprouts with pasta, and for the meat eaters, we added bacon as an extra reward for changing things up. 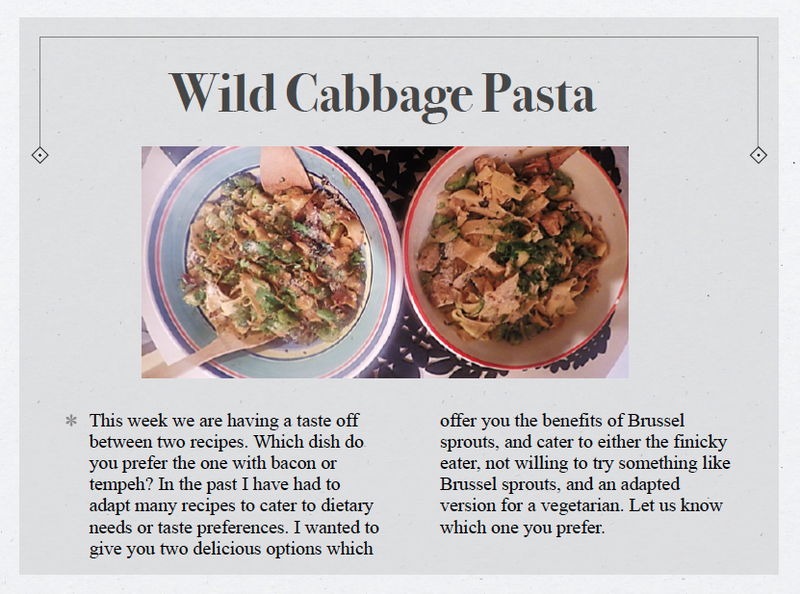 Try this delicious Pasta with Brussels Sprouts recipe by Ingrid this week! When you do, let us know how it goes. 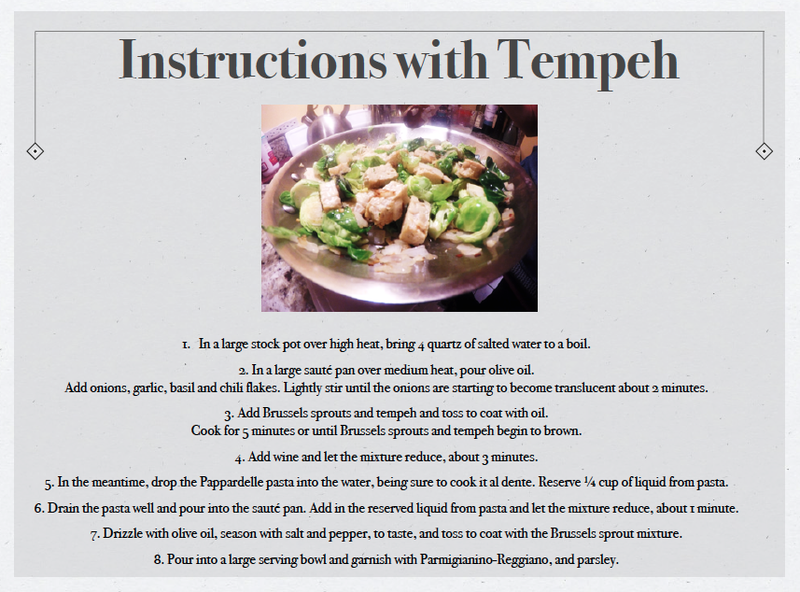 We’ll be happy to hear your feedback and post your food images on our social networks. 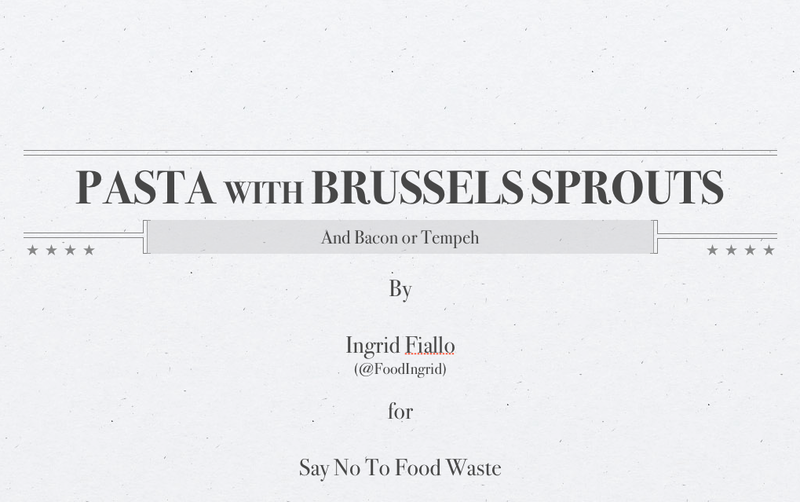 Posted on January 28, 2015 January 31, 2015 by saynotofoodwastePosted in BlogTagged brussel sprouts, food, healthy, pasta, recipe. 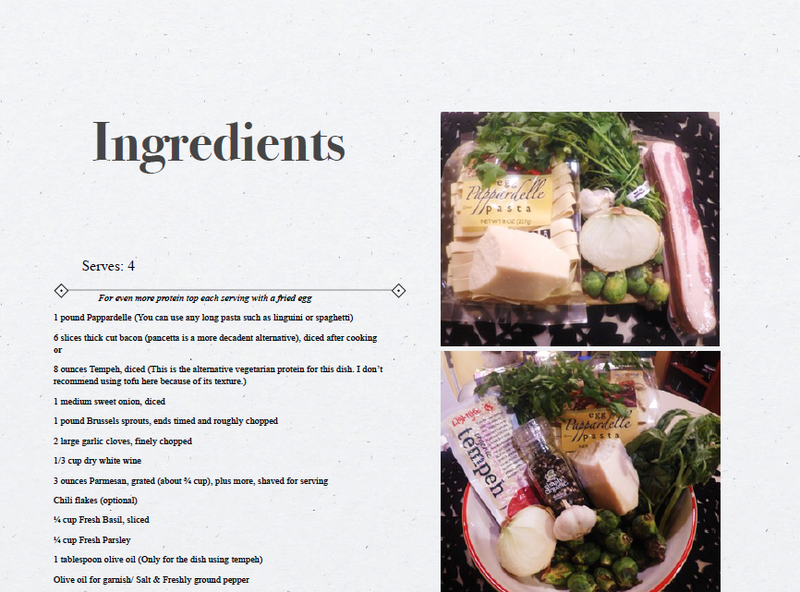 Can I just say that even the layout of your recipes shows how much love and passion you put into this?